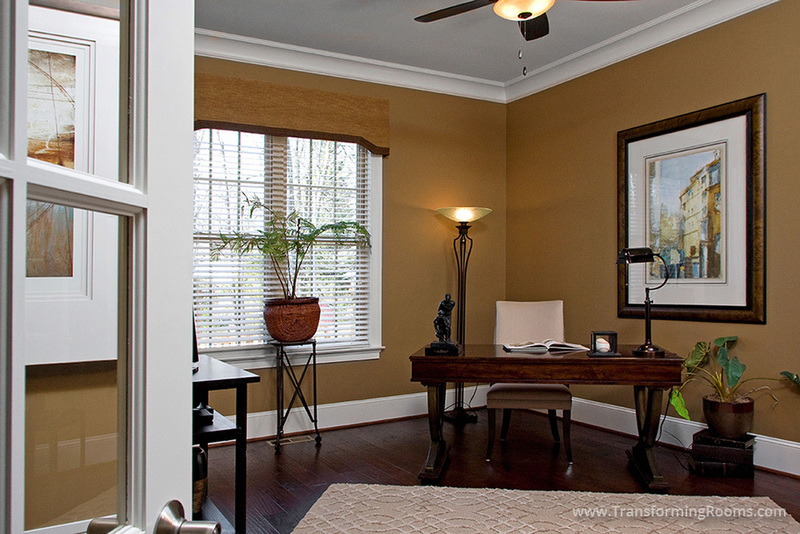 This Greensboro, NC home office looks neat as a pin! That's because we created a closet area for a filing cabinet the printer and all those unattractive office needs. We supplied furnishings, lighting and art, so they were delivered before the home owners arrived. The desk and chair face the french doors that enter the room.